In Doom, you can create your own maps with the supplied SnapMap editor. Here you choose from a variety of demons, special effects, weapons and sounds. You can choose whether you want to play only with friends who own maps. 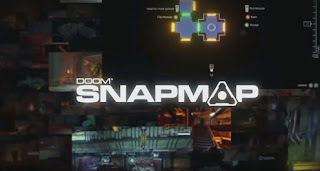 We will show you below how SnapMap works and how you can create your own maps for Doom. SnapMap offers you plenty of freedom. To handle the editor you can use either the mouse or keyboard or the gamepad or the controller. In the first-person perspective tinkering your own maps together. If your map sometime too big, you can easily switch to the blueprints view. In case if you don’t like a room, you can simply click and rotate or move elsewhere. After you create your map, then you can go online, simply switch to the perspective of a player. So you can explore your map and test if your ideas work. - You can access numerous components like all enemies, textures and objects. - With the objects you can trigger your actions or even install small scripts. The whole thing is explained to you with small tutorial. Complete this you’ll get even a trophy, Gamerscore points or an achievement. - Build space elements in your own shape or size. - You can also change the speed of opponents. - Determine how much damage a weapon can cause. - Think about also how your monsters are hot when they spawn and what happens after death. Is a Glory Kill needed to defeat them? How much vitality points they should have? - Access a huge database of objects. Example: place an explosive barrel and set to explode when a player approaches. - Embed control elements with which the player can interact to open about a door. - Placed ammunition boxes or printing plates. Also timers can be positioned, the trigger bit after a certain time. - Activate your map with fire, smoke, fog or light. So you can control when the light should go out in a room. - Add playful elements as course-level, tower defense objects or a keyboard on the ground.